Today's So Shoe Me is the Kick It by Jeffrey Campbell, $190, available at Solestruck. 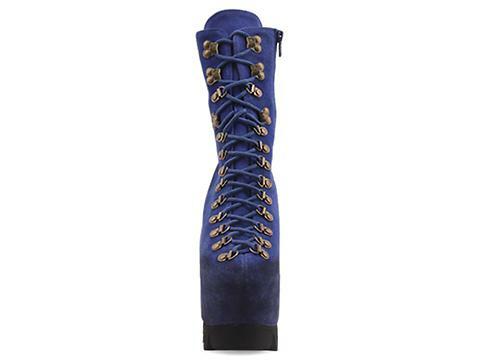 Hike up your patriotism this election day with a bold blue lace-up boot that let's your freedom of style ring. A distressed blue suede upper, haute hiking shape and rugged platform add a high flying signature design to your everyday favorites. The side zipper offers easy on and off access so you won't have to worry about tying and tightening laces. And the 6" heel is offset by a chunky 3" platform which allows for comfort and all-day wearability. Pair these high fashion hiking boots with a planet embellished sweater, leather track pants and a signature metal headband for a casual look that's out of this world. 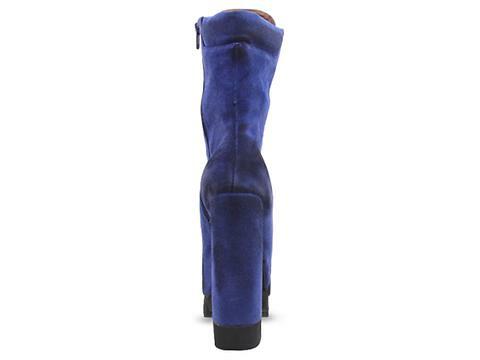 So Shoe Me a pair of bold blue suede shoes that will kick up my style with a punchy platform and a sky high heel.